This afternoon, I came across the coolest cards:В San Francisco print maker Niki Baker illustrates song lyrics, carves them onto rubber stamps and emblazons them onto paper. 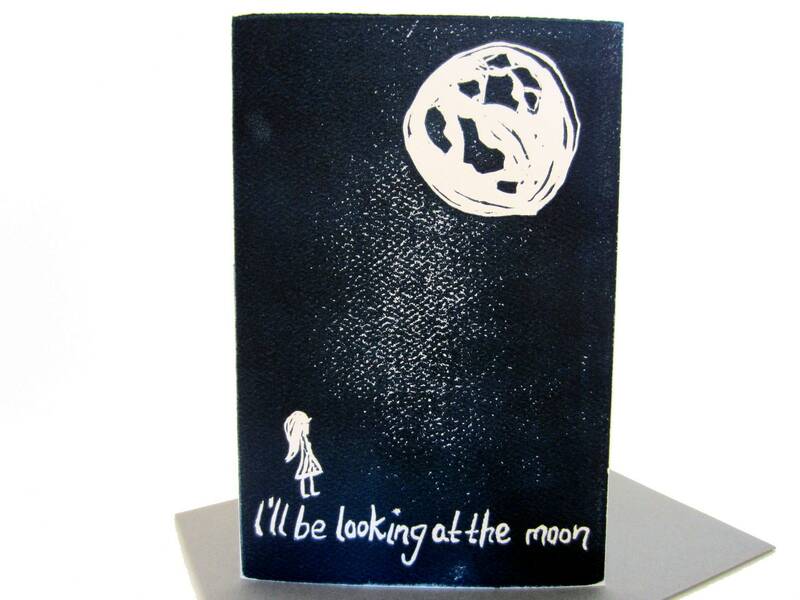 But my favorite design is of Billie Holiday’s “I’ll Be Seeing You.” The outside of the card says, “I’ll be looking at the moon” and the inside says, “but I’ll be seeing you.” SoВ forlornВ and sweet! I’ve loved perusing your entries and look forward to reading more about your adventures! if you’d like to purchase anything in my shop contact me for a special coupon code.